Branching stems to 5 ft. tall bear 1-1½ in. long , tinged flowers. Foliage clump is 2-3 ft. wide. Thick rootstocks send up clumps of dark green, smooth, sword like leaves. 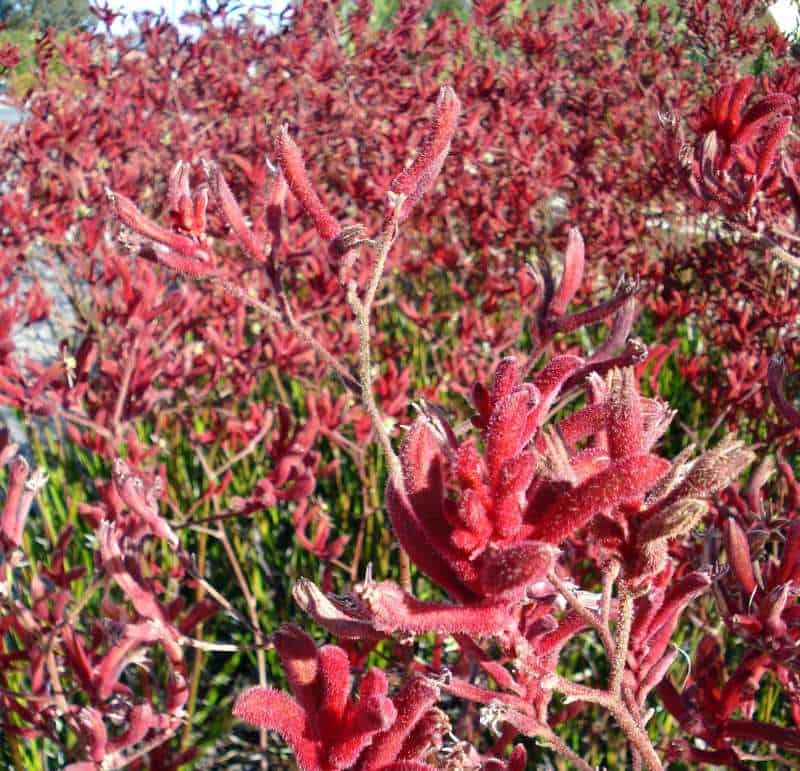 Spikes of striking, fuzzy, tubular flowers in red, orange, yellow, pink, or green curved at tips like kangaroo paws. Flowers attract hummingbirds. Likes light sandy soil with good drainage.